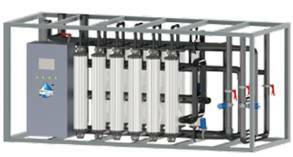 MS Ultrafiltration(UF) systems are made of hollow fiber membranes based on its PVDF/PES polymer manufacturing capacity, it features a unique design allowing it to save your footprint and maintenance costs. Multiple models are available to suit different industries and production capacity. Why Choose MS UF System?